So I'm doing some experiments with barrels. First up is my 6BR. I'm tracking accuracy/precision through a dirty barrel. This rifle has proven to be a 1/3moa or so rifle in the past on clean barrel. I'm going to refuse to clean it... I'm just going to keep shooting and shooting it. Here's some shots from today at 336rnds. 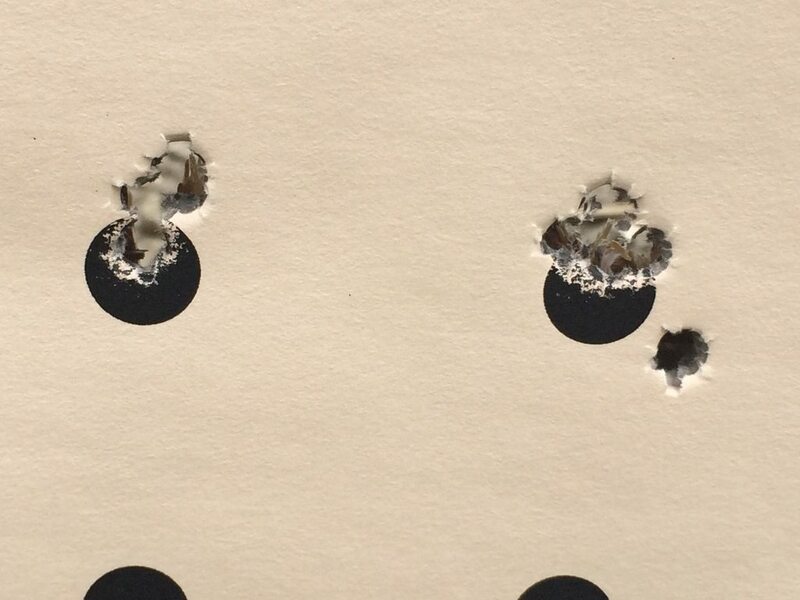 5-shot groups @ 100yds. You don't happen to have a picture of one of the groups clean? I'm sure you do, it would just be nice to have a visual before and after. I posted these in a different thread the other day... this was after I cleaned it. As I mentioned the bottom/right one was my son tripping over my feet. So its right around the same. Potentially marginally better when clean. Tight little cluster vs these which are strung out a bit. I can tell you right now, if I can maintain this kind of performance without ever having to clean... I'm pretty sure I can live with that on certain rifles. This barrel never shot in the .0's or .1's anyway. My main concern is regarding zero drift and/or FPS drift. That's what I hope to find out via this experiment. 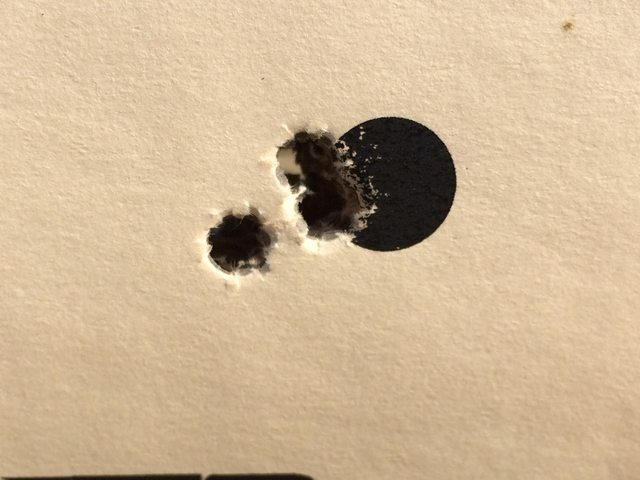 Around 200rnds this rifle pressures up bad and jumps up about 100fps, so I backed off that 30gr load down to 29gr, and that's the groups in the previous post. I'd also be curious to see if ES jumps up. I'm going to include some chrono work as well as distance shooting throughout to try and learn as much as possible. 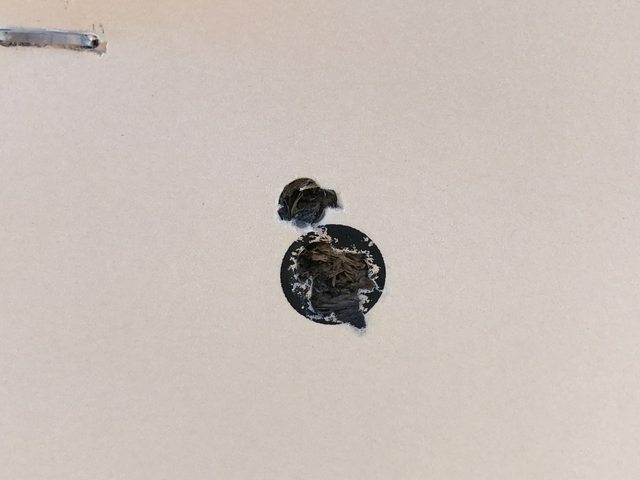 Though if dope tracks at distance, and rounds stay tight on target up close as well as far away... that will pretty much tell everything that a guy needs to know. The idea behind this thread reminds me of the argument of changing your oil every 3,000 miles vs the cost of just replacing the engine after so long from not changing the oil. Went and checked some load dev. 29gr was a little toward the high side of the node me thinks. 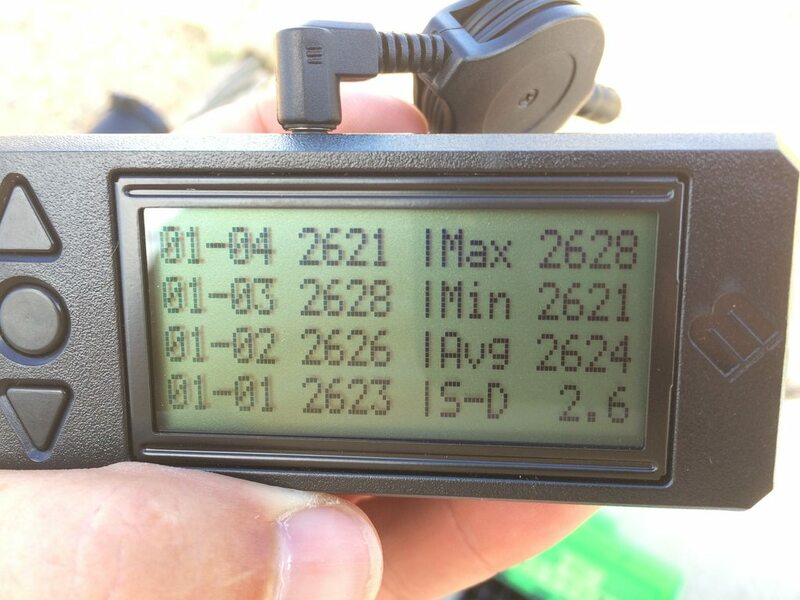 28.4 (dot 3) was awfully impressive, as was 28.6 (dot4). So I loaded up at 28.5 and proofed. Sure enough, it's impressive alright. See how its shooting? Note the group size and location. So I attached the magnetospeed. Remember that tool on an other forum talking about how magnetospeed doesn't affect group size... just POI? 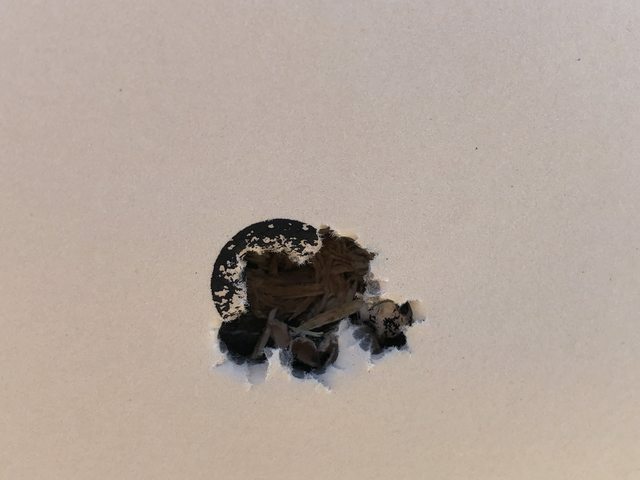 Well I went from one hole to a 1moa group simply by attaching it. So yeah... myth busted? Prolly. Now if only tools would stop perpetuating myths on forums. SD of 2.6? Yeah, good enough. 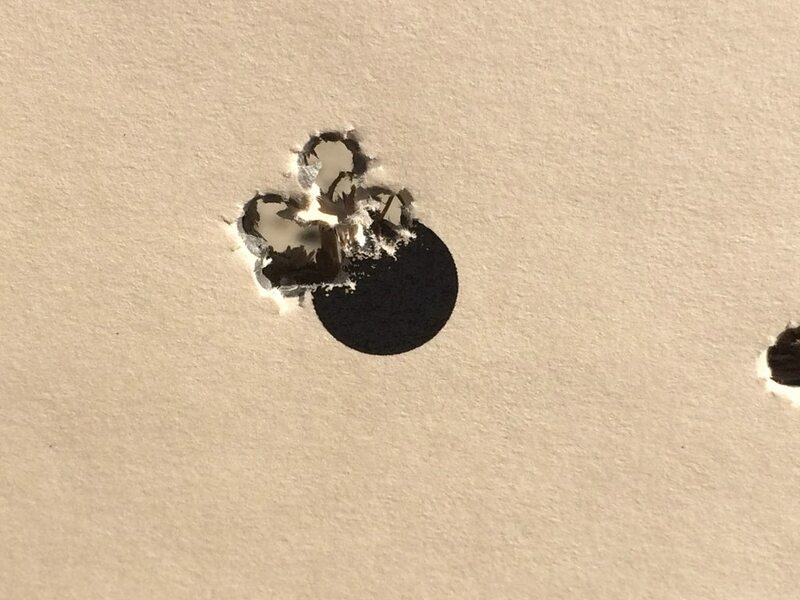 I put 3rnds on a quarter down at 300yds too... but too lazy to walk down and take a picture. So, suffice it to say despite being dirty, the rifle shoots. 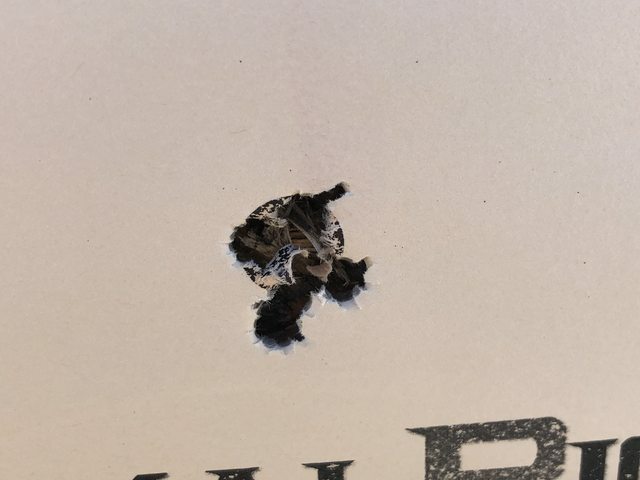 387rnds since last cleaning and it's shooting quite well. I shot a few more dots and called it good for the day. Shot this yesterday. Now 426rnds since cleaned. I'm feeling very good today. Got the rifle tracking flawlessly. Really just one of those days where it doesn't matter what rifle I grab, I can just make it work for me. 5 shots on the left, 3 on the right. 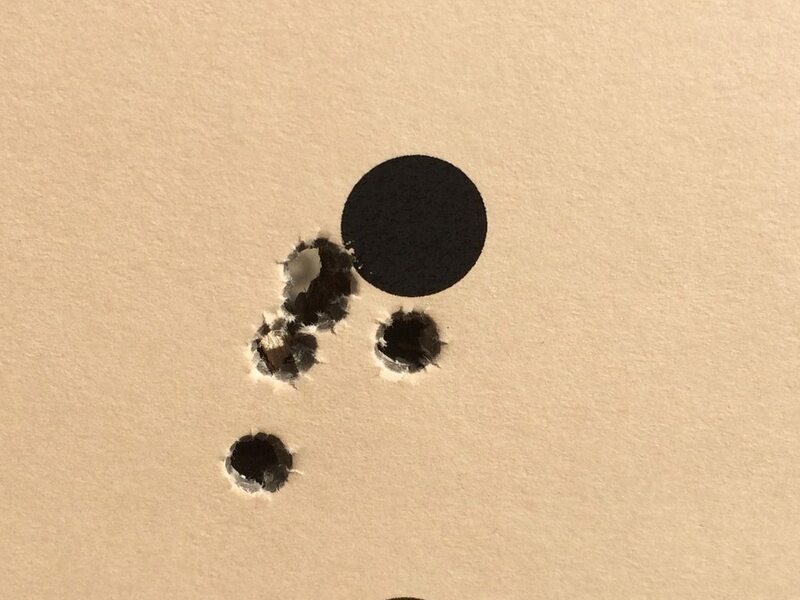 Spent the first two zeroing... otherwise that's the first 10 of the day. 436rnds on the barrel now since it's been cleaned. 1356rnds total. It seems that this "don't clean your barrel" theory has a couple main requirements so far. The first is that the barrel be broken in normally. As in, you can't just not clean it when it's new, and you must clean it good for the first couple hundred rounds. It needs to get past its cranky teenage rounds. The second is that you must wait until after that, and after it has reached the round count where it would normally scatter and pressure up before you do load dev. In other words, the barrel must be broken in and then completely fouled before load dev can be done. 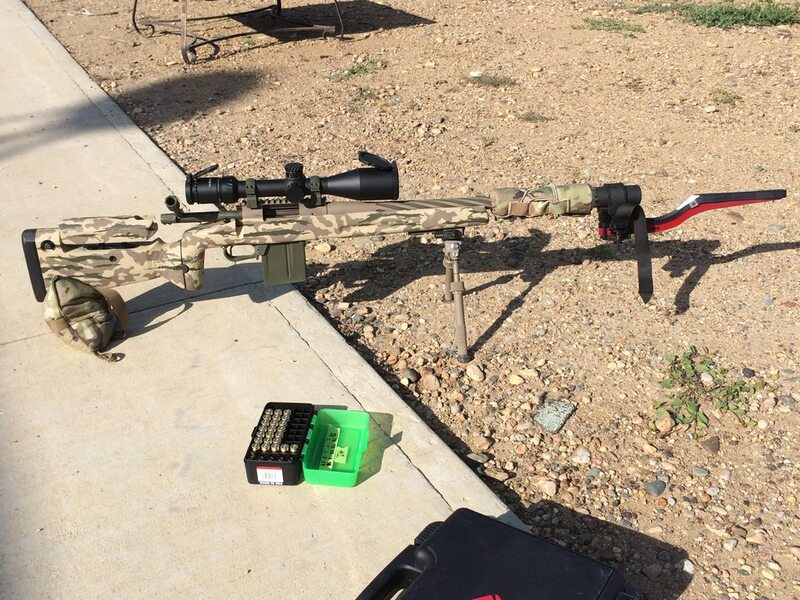 This would seem to take no less than 300rnds of barrel life, and possibly more. This would seem to be a pretty big consideration if you've got something that will torch barrels quick. If you can come onto a load that shoots reasonably well early on, it won't be much of a big deal. However if you stumble early, then waiting for the dirty bore condition to exist might just use up a considerable portion of barrel life. Obviously this is not the case with 6BR's, Dashers, or other small 6mm's that have barrel life well past 2000rnds. Though I'm very curious how this method would shake out on a more overbore cartridge like a 6CM or 22CM. Is that jump of 100fps common with other rifles with similar size/weight bullets? Yes, most rifles will experience a FPS bump and a propensity to show pressure when they get fouled. If one were to load to the bottom end of a node when the barrel was clean...would it be possible to shoot through the velocity increase without changing the load? However I would think that where you would need to be would be farther away. Very hard to predict without data from previous workups to use as a delta. For instance, my node was at 30gr on a clean barrel. Yet I'm all the way down at 28.5 right now. I'm happy cleaning every couple hundred right now. I am just feeling like I can call my shots. I don't want another variable yet. Just want to make sure I understand what we're talking about here while I'm waiting for Irma. Once we bracket the range of powder loads and split the difference to get right in the middle of the node.(theoretically). I'm guessing this should be done on a relatively clean barrel. Then we Chrono the rounds to get out FPS. Then as the pressure rises due to barrel fouling, we have to reduce the charge to accommodate the 100 FPS increase in speed due to the fouling. Did I get this right. Just when I think I've got some aspects of reloading figured. Round count since last cleaning has to get into the mix along with round count on the barrel. I'm wondering if there's a cleaning interval that keeps your bug holes without having to change your powder charge, or do you waste too many rounds refouling your barrel to get you where you want to be accuracy wise so the charge tweak is the to go to you get to the 200-300 round count and you reach an issue with accuracy that cannot be corrected by modifying the powder charge. My 308 is consistent to about 200 rounds. This last time when I cleaned...I used wipe out patch out/accelerator. Then I dried the bore with several dry patches. I usually follow that up with a patch of kroil and another dry patch, but this time I intentionally left off the kroil. 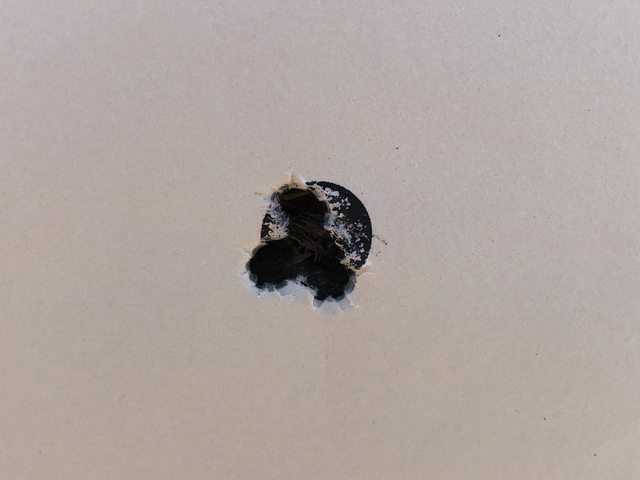 With a clean dry bore, the barrel shot bug holes. Yes, obviously the way I've been doing it and recommending to poeple, works. The way I've been doing it is simply to clean the barrel every couple hundred rounds or whenever is necessary to preserve accuracy. Keeping a barrel log and tracking honest shots tells you exactly when this is. You only need 3-20rnds to foul back in after cleaning, and it will bug hole until it gets fouled. Yes, that works. However the quest for knowledge is eternal. This experiment is to determine if you can leave it fouled. So as I said, once the barrel is broke in and subsequently fouled, you'll reach a round count somewhere around 200-400 since last cleaned and it will likely speed up and pressure up due to the fouled/constricted bore. 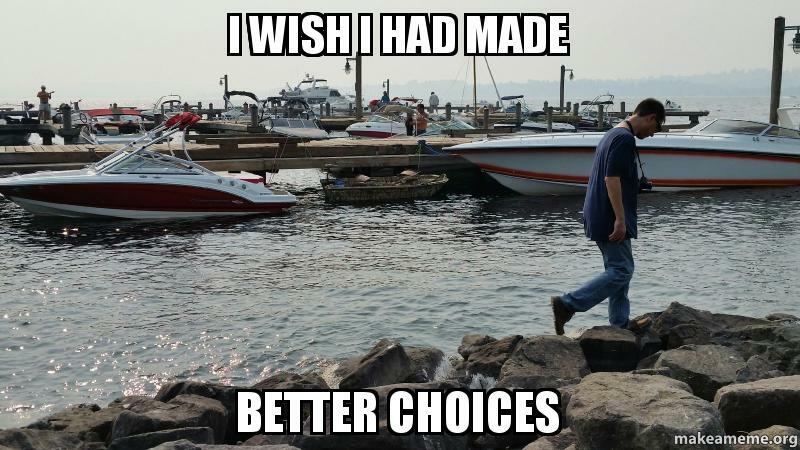 At this point, you do an entirely new load development session. This will show you where the "fouled" node is, and this is completely independent of velocity. Velocity is a result, nothing more. I'll be very interested to see the results of this test. Especially the change in powder charge as the round count goes up. Tests like this really help advance the sport Orkan. Thanks for doing this and sharing your findings. 506rnds since last cleaned and today I cleaned a KYL rack at 530yds with it. Smallest target is 2.5" on this rack. Wasn't on my first try... but my 3rd try I think. Had an 18-25mph wind today, so it was a little rough. Bottom line is the rifle is still shooting excellent. Wow son that's some pretty spry shooting in wind. Have a whole new appreciation after I got humbled with 2-15mph variable wind. Was used to small variations of 5 mph. 13 kicked my bum. Need to get out in the variable stuff more and practice. 3rnds, 4rnds, 3 rnds. Right > left gusts came up but I just held center dot. They were wiggling me around a bit too... so whatever. I could feel the groups could have been smaller but it is what it is. @orkan they could be better lol. Most shooters would be jumping up and down if they could put groups down like that. I know your not most shooters though. Sorry... 6br sits back of the bus when I'm slaying. That thing has more red in its coat than I've seen in FL and PA.
578rnds since cleaned. 5 @ 100yds. I had @brittel time me on a dot drill. I pushed a little too fast. Missed a few breath cycles. 612rnds since cleaned now. Loving this experiment and info. So, if I’m understanding at this point, it appears once you get to your normal cleaning point (where accuracy degrades), you grind through that and do a new load dev. The reason accuracy degrades is do to pressure increasing your velocity and pushing out of your node. Is this understanding accurate? @pizfiz Yup, that's pretty much in line with what I'm thinking. 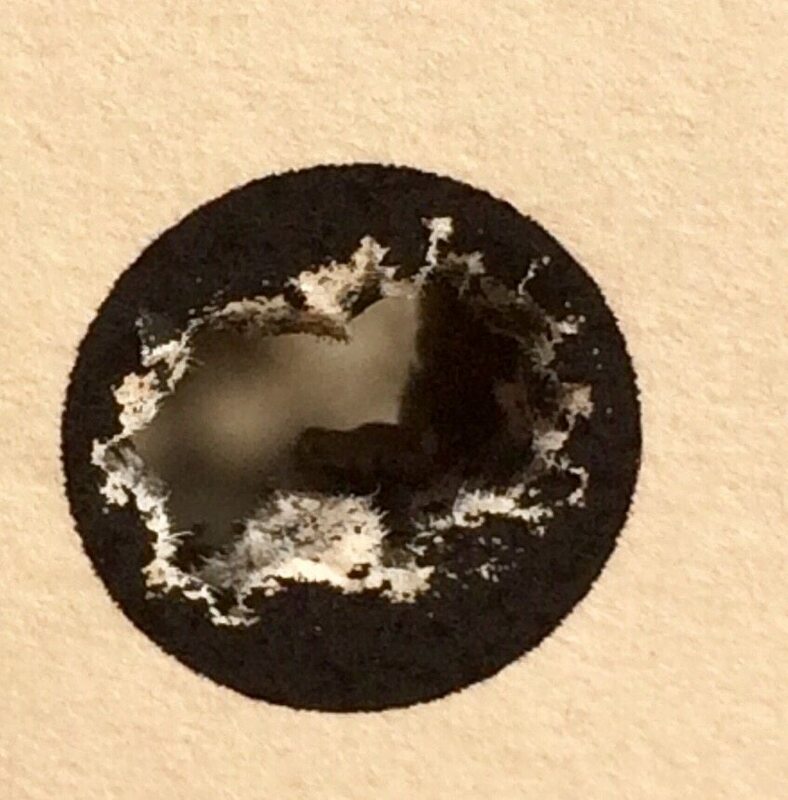 Cold bore hit on a 2" diamond at 300yds. Hit 3/4" low of dead center. Put another 10 shots into it and didn't miss. I was wondering about this test yesterday. Very interesting results. Hey Greg, any updates on the dirty barrel experiment? Nope. Mainly been shooting rimfire. hehe. Once it turns nicer out it'll start getting shot again. Shot from top left, to right. 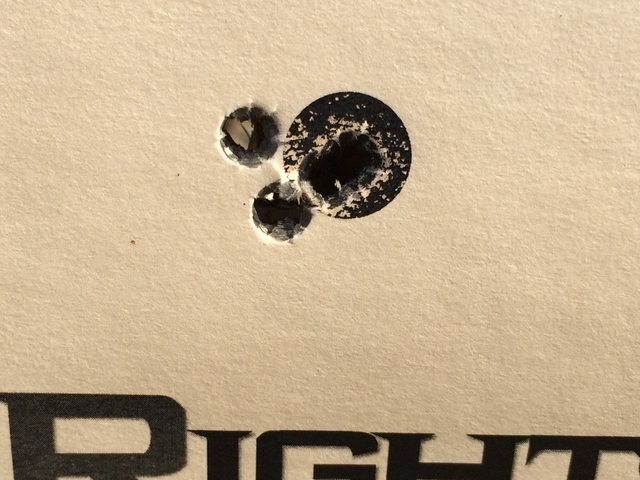 Five shot groups at 100yds. Ammo used was loaded months ago. First round hit about 0.15 mil right... and then things seemed to settle in to the left. Rounds that fell low were just me. It's always been a challenge to drive this rifle, which is why I like it so much. Keeps me honest... so when I'm screwing up, it gets squirrely quick. 732 rnds since last cleaning. @bull81 I changed to 107SMK's and H4350. Need to dial in the load. I should be able to get that vertical trimmed down. I have a bit of experience with Dirty barrels. To start off I just want to say I have no degrees in anything to back up or corroborate this information. It is purely my experience and please take it for what it is worth. To begin with I am going to give you a bit of history of how I got to this solution. 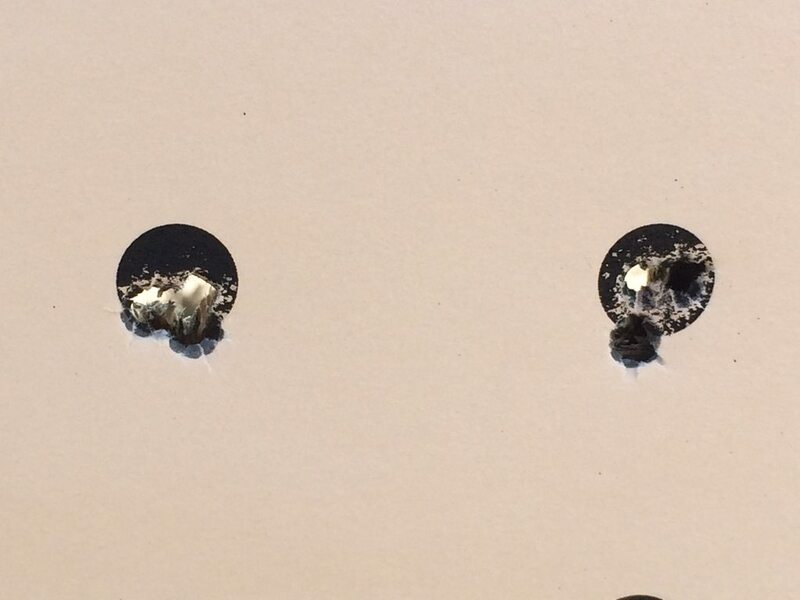 I was a recreational shooter and shot a bit of bench rest and was able to hone my reloading and shooting there nearly every one knows that bench rest shooters clean all the time and I did also. 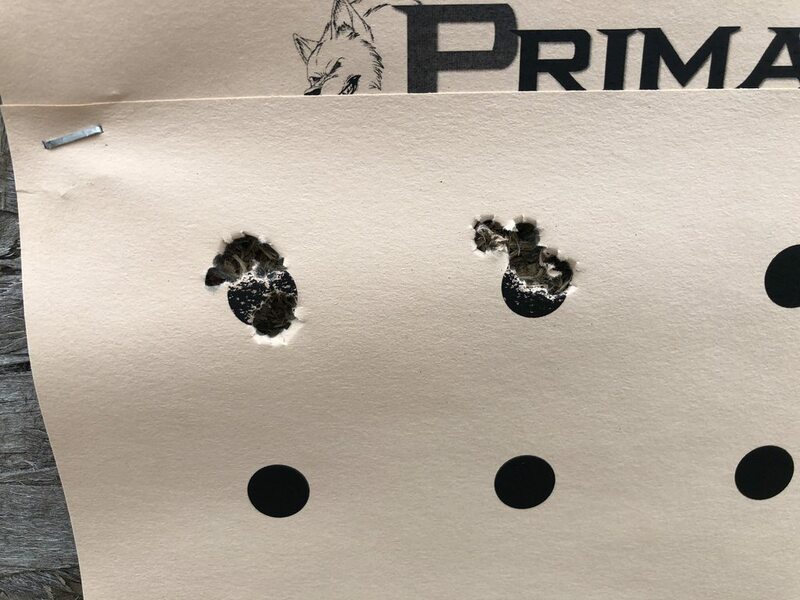 When I started shooting PRS events this became a problem as most courses of fire would be over 2 days and be between 200-300 rounds. 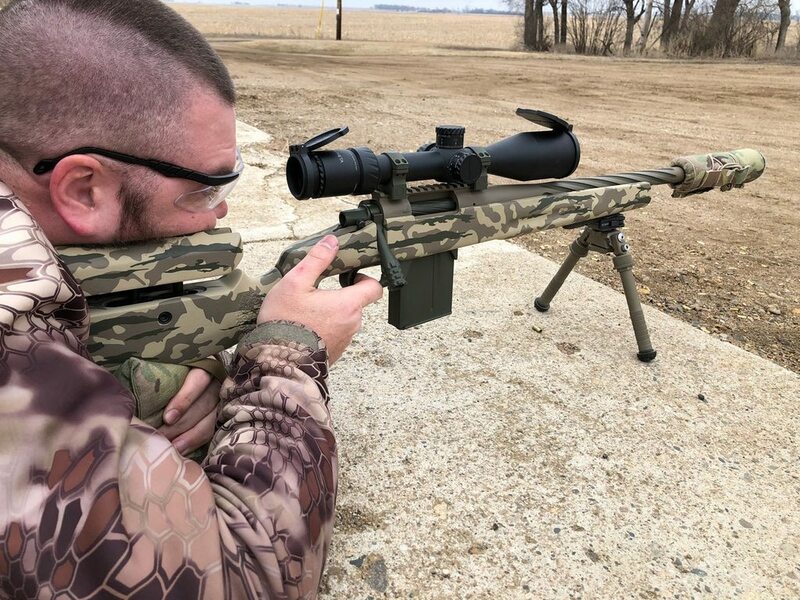 I have found that once you clean a rifle it depending on the barrel will take between 15-50 rounds to settle down and shoot where you want it to. The second problem is that generally speaking once you get between 100-150 rounds on a barrel it can speed up and cause pressure issues. I personally hypotheses' this to be the spot where the maximum amount of carbon can be in the barrel and when it starts to allow carbon to start exiting the barrel. So knowing that a barrel needs to be broken in speaking of personal experience again. I would go through a barrel break in process that generally will include up to 50 rounds maximum. In the normal or general approved methods. 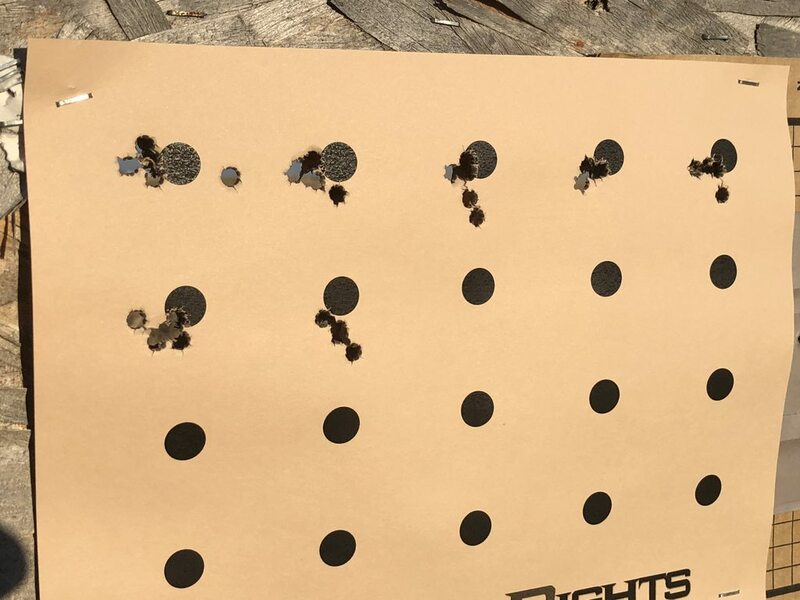 Next I know that most barrels that I have shot have increased speed at approximately 100-150 rounds and once again at around 200-250 rounds. 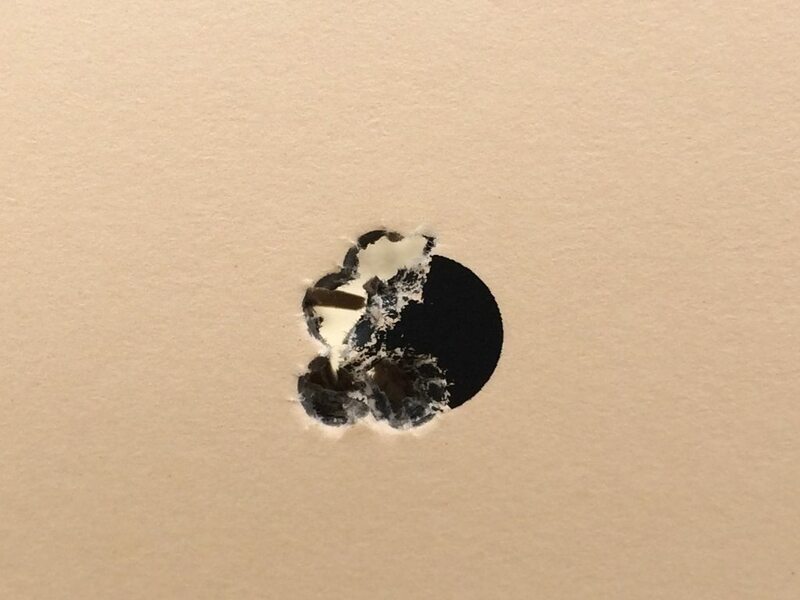 To deal with this I with a new barrel will need to fireform brass to the chamber and typically like to have 300 pieces of brass to use in match situations. So I will load to about 85% of what I think the maximum charge is and go ahead and shoot it with that load with out cleaning it at all. I am monitoring speed and group size along the way to see if there is an irregularities taking place. Typically once I see that second barrel speed increase and it has settled into a consistent muzzle velocity I will do my load testing. From this point on I never clean the barrel unless I am have to shoot in bad conditions such as rain or mud. From this point until I pull the barrels I do not get any muzzle velocity variations and will never have to change a load. 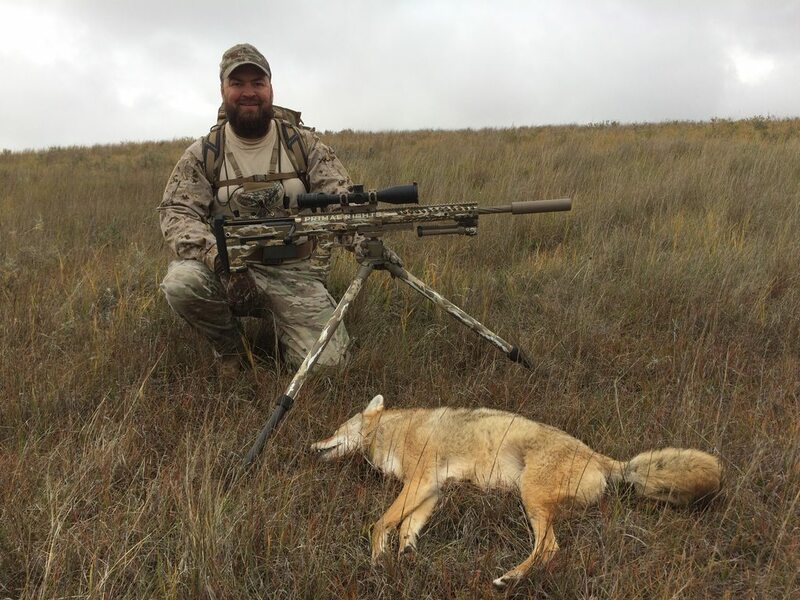 There has been a lot of questions on this tread of what cartridges and weather overbore cartridges work with this method. I will list below the calibers and the amount of barrels that I have done this with. Please remember what I said before this works for me you may not get the same results. I shoot 6Dasher for all matches with the exception of the PRS ELR matches. At the ELR match I have shot both the 6.5x47 and 6.5 SAUM. As soon as it is a bit nicer out I will shoot all of them and post some pictures so you can verify what I am saying. Looks like you bring a lot of knowledge to the table glad you joined up. I’m currently testing HBN coatings to see if I can eliminate the bonding between bullets and brass that’s been loaded for extended periods of time. One of the things I’ve noticed while using this coating is the lack of fouling in the barrel. 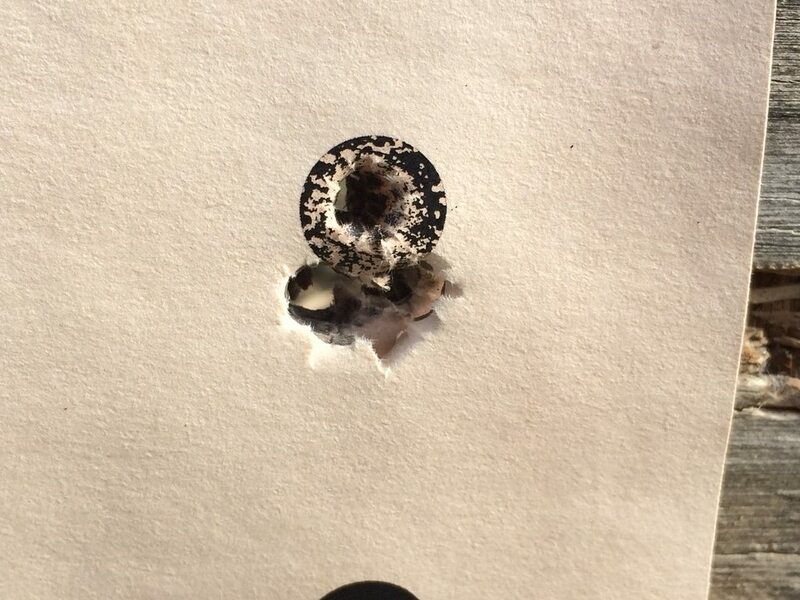 I usually clean every 200ish rounds, last time I cleaned it was basically no fouling in the barrel to remove. If I remember right three patches is all I used, afterwards I checked it with a bore scope and it was spot less. After cleaning it took 2 rounds to settle back down and the velocity to stabilize. I’m thinking this coating could greatly increase the round count between cleanings. Another thing to note was the muzzle was still clean after 200 rounds of suppressed fire which it’s usually caked on thick requiring several soakings to remove. It’s an ongoing test but at this point is showing real promise. I coat the bullets and treat the barrel. To treat the barrel the HBN is suspended in 99% alcohol then applied to the barrel with a cleaning patch once the alcohol evaporates a clean dry patch is run down the barrel to remove any excess. So it’s definitely in the barrel but doesn’t seem to build up with each firing. I’m about 500 rounds into it with testing at this point. 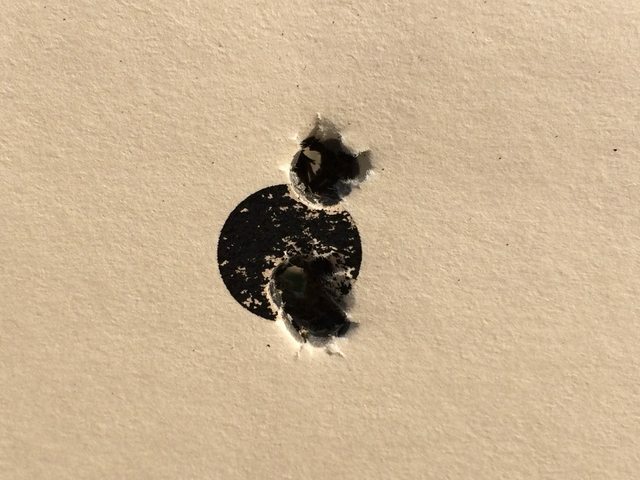 @bull81 I have no experience with treating barrels or coated bullets it just doesn't make sense with the amount of shooting that that I do and the amount of barrels that I go through in a year. I expect that it somehow all works but everyone is working from a different situation and need. Just so everyone knows, Mike is the one that gave me the idea to not be cleaning. My hope is that this thread will turn into a "proof positive" regarding this theory. I'm less skeptical about it now than I was last year. Though real data, from folks that can consistently shoot little knots, is the only thing that will prove it. It's certainly proven to be sub-moa capable. Maybe even 1/2moa capable. I'm not settled on if it's 1/3 - 1/4 moa capable however. Many more rounds need sent and recorded. Oh I completely understand and wasn’t trying to argue a point in either direction. Sorry if I came across that way. I was just stating what I had experienced dealing with the coating and it’s affects on cleaning. Basically in some ways it’s turned into my own version of a dirty barrel experiment by accident. 50 more rounds today. 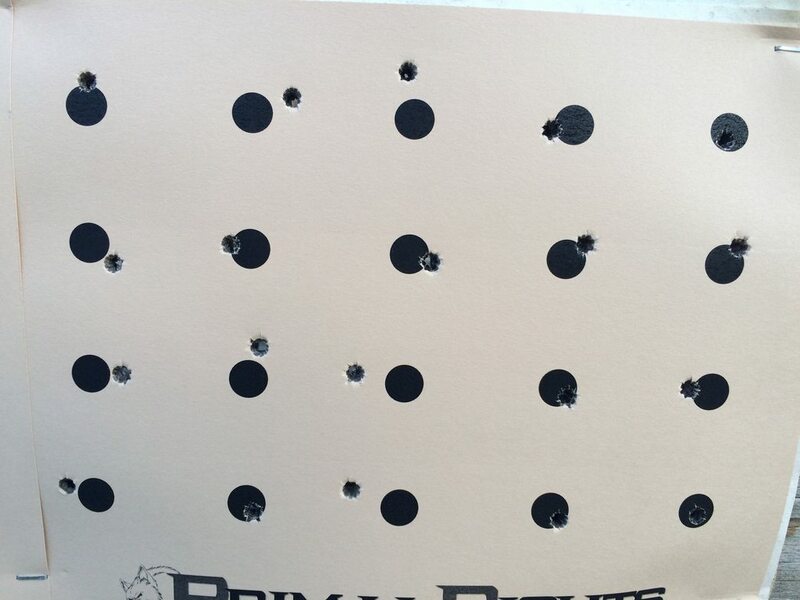 Couple of 10-shot groups and the rest are 5 shots at the end of the 50rnds. One group was really tiny for 3 shots. Then one jumped out the top. lol Last one went right in there. Great info. 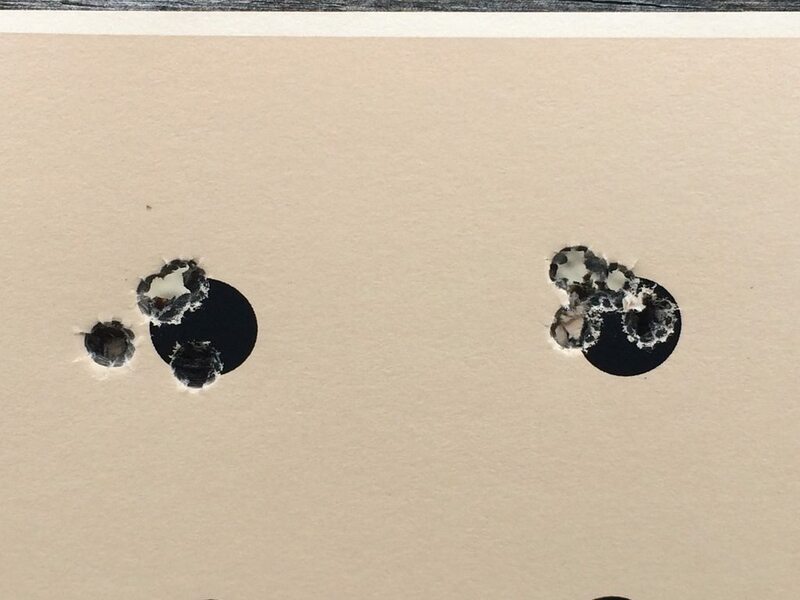 After you shoot your initial 50 “break in” loads, do you clean?